It’s not unusual for a customer to call and ask, “How much is a website?”. The price would depend so much on your answer to those questions, and you wouldn’t even expect to get a ballpark figure until you answered them, right? What goes into creating a website is a combination of design and function, and it should depend on what you need your web site to do for you, and what kind of image you want your website to project for you and your business. Do you need a simple site that won’t require much changing as time goes on, or will you need to change or add to your site often? Do you need an online catalog and shopping cart, or a large photo gallery? Do you want some tasteful Flash animation to grab the eye? How much design will you need? Can you write your own text? Do you have images to include? All these factors determine the price. Just keep in mind that if you seek service from one of those web design companies that promise x number of pages for x dollars, or your site done in 48 hours, you’re going to get what you pay for. Static websites are usually creatable, always with an elegant design and function, for from $300 to $800. We’ve done them for a little less, and for more – again, it depends on what you need and want. They are typically five to ten page sites and do not need to be edited or changed often after they are created. They may or may not include Flash animation, Custom Logo, a simple Paypal Shopping Cart, forms, Search Engine Optimization or other features. 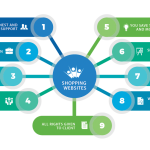 If you need a site that you can edit yourself, with a sophisticated shopping cart and online catalog, contact management for mass emailing, database capability and much more, we offer our Premium Sites which include all these features and more built in. We guarantee that you cannot find these features in a website for a better price. These sites, including custom design, usually cost from $1500 to $2500 but may go as high as $4500.00 + higher depending on your needs. Your Domain Name or web address signifies your own address on the Internet. It is a unique alphanumeric name used for identifying and locating websites on the Internet. Domain names may consist of letters only, or a combination of letters and numbers. Domain Names may also have a – ( dash ) or dashes within the domain name, but not at the beginning or end of the domain name. It is now common in Australia for businesses to register both the .com & .com.au ending of their domain name. As no two parties may ever hold the same Domain Name at the same time, it is a truly unique identifier of yourself or your business. It is how your customers will remember you and find you among the millions of other Web sites on the Internet. Why should I transfer my domain name to Shopping Websites (aka OAVS)? Our customers usually request a transfer after having an unsatisfactory experience with their current registrar or service provider – be it that they overcharge, do not notify them when expiration date is due, or display their own contact information instead of the owner’s one. Many of our new customers come to us with a lot of frustration and anger. They have expressed their unsatisfactory experienced with their providers to us because they are unable to contact them either by phone or email. They are no longer able obtain any information for for website or the host for any user names or passwords to their various accounts. We solve all this by having it all under one roof giving customers a piece of mind. Another good reason to transfer your domain to us is to manage it easily together with your hosting account. With OAVS, you will have full control over the domain name from your own Customer Area. You will be able to change the administrative contact information such as Organization, First and Last Name, Email and Living address, etc. Also you could edit the DNS settings, change the domain name status and check your domain name EPP code. Last but not least, you know you are in safe hands and contact OAVS anytime for any requests 24/7 via email or 9-5pm via phone. All calls are answered and emails replied promptly. To transfer your domain name to OAVS, please login to your Login area, click on Login – Domain Account or Login – Host Account and choose Domain transfer. If you are not a current customer of ours then choose Domain Names from the top menu then select Domain Transfer. Please note that you will need your domain password regardless for any domain transfer. The domain name password (also known as Registry Key or auth. code) is sent by email to the registered owner of the domain name at the time of purchase. Contact us for any difficulties as we are able to carry this process on your behalf. Domain Names correspond to a series of numbers called Internet protocol numbers that serve as routing addresses on the Internet. IP addresses are hard to remember therefore web addresses were developed to permit the use of easily remembered words. Why you should register a Domain Name for a number of reasons? They are scarce. Good Internet Domain Names are a rapidly diminishing commodity. They are allotted on a first-come, first-serve basis. They are important. The Internet Domain Name has become a vital part of corporate identity. In the 21st Century, your Domain Name will be as important as your trademark and is your online identity in the local and global marketplace. They are versatile. For example, any email addressed to you at ceo@yourcompany.com can be forwarded to your current email address. A Domain Name will consist of two or more words separated by a period. For example: mydomain.com The first part ‘mydomain’ is called a second-level domain. The second part ‘.com’ is called a top-level domain. A top-level domain is the suffix that is attached to the end of a Domain Name. .com, .net and .org are Top-Level Domains in the hierarchical Domain Name system. In the Domain Name ‘Mydomain.com’, the .com is the Top-Level Domain. Top-Level Domains are the highest-level category of Internet names. Registry, Registrar, Registrant. What do it mean? The Registrant is the owner of a Domain Name. The owner may be an individual or an organization to whom a specific Domain Name is registered. When a Registrant registers a Domain Name and enters a contractual agreement with the Registrar, they are the legal owner of a domain name for a specific period of time. The Registrant is bound by the terms of the service agreement. For example, Tony Smith (Registrant) registers the name ‘tonismith.com’ through the Registrar who in turn writes the name to the central database (NSI Registry). A registry provides direct services to registrars only, not Internet end-users. The Registry database contains only Domain Name service (DNS) information (Domain Name, name server names and name server Internet Protocol [IP] numbers) along with the name of the Registrar that registered the name and basic transaction data. It does not contain any Domain Name Registrant or contact information. A Registrar provides direct services to Domain Name registrants. The Registrar database contains customer information in addition to the DNS information contained in the registry database. Registrars process name registrations for Internet end-users and then send the necessary DNS information to a Registry for entry into the centralized Registry database and ultimate propagation over the Internet. To find out whether a Domain Name is available just enter the name without www. into the Search Box. You can tick the domain endings you wish to search and see availablibily of many domain extensions at once. Yes you can. By clicking on the “Search for multiple domain names” link on the menu under ‘DOMAIN NAMES’. You can register multiple Domain Names (no limit) at once. When you register multiple domains or have registered many names at an earlier time, you are eligible for volume discounts, even if later only registering 1 name at a time. After doing a search for available domain names you can click on the Prices link for full details. 1. Search for a Domain Name using the Search Box. 2. Select the registration term, and provide your contact details. 3. Provide DNS details or simply choose Free Parking for your domain. 4. Review the information for correctness. 5. Agree to the Service Agreement. 6. Provide payment information and submit your request. 1. Provide the following personal information for the Domain Name owner, and Administrative, Technical and Billing contacts. You may choose to simply enter your own details in all contact fields. In practice if you wish to enter your own details as all 4 contacts above, you only need to enter details once for owner contact and leave the other boxes ticked to use the same contact details. f. Tax ID Number ( Names ending in .au only ). 3. Provide your Domain Name Server (DNS) information which can be obtained from your Website Hosting provider, or choose Free Parking, which will automatically place the correct Name Servers on your domain record if you also choose us to Host your domain now or in the future. 4. Read and accept our service agreement. 5. Provide your credit card and billing information for payment purposes. When your Domain Name registration comes up for renewal, the person listed as the billing contact for that Domain Name will receive an email. That person will have 30 days to renew the Domain Name’s registration. Following the expiration date, the name will be held as registered for a grace period of 30 days. After this period the domain name will be available for registration by interested parties. Alternatively you can renew your Domain Name through Manage Domains. Go to Renew Registration, select the domain you wish to renew. At this point you must also indicate the number of years for which you wish to renew. You can renew Domain Names from 1 to 10 years at a time You are then required to enter your payment details and click the renew button. You know either your Member ID or Username; and You can answer your prompt question. Every web address must reside on a Host computer which is a specialized Server computer. A Host computer is connected to the Internet and provides you with space where your web site is stored + bandwidth for the traffic to your site, and other services such as POP email accounts, and detailed stats. Web hosting is a separate service to Domain Name registration. Answer is no. What is browser cache (pronounced (kash)? In computer science, a cache (pronounced /kash/) is a collection of data duplicating original values stored elsewhere or computed earlier, where the original data is expensive to fetch (owing to longer access time) or to compute, compared to the cost of reading the cache. In other words, a cache is a temporary storage area where frequently accessed data can be stored for rapid access. Once the data is stored in the cache, it can be used in the future by accessing the cached copy rather than re-fetching or recomputing the original data. So why does WordPress ® Ned to be cached? To understand how Comet Cache works, first you have to understand what a cached file is, and why it is absolutely necessary for your site and every visitor that comes to it. WordPress® (by its very definition) is a database-driven publishing platform. That means you have all these great tools on the back-end of your site to work with, but it also means that every time a Post/Page/Category is accessed on your site, dozens of connections to the database have to be made, and literally thousands of PHP routines run in harmony behind-the-scenes to make everything jive. The problem is, for every request that a browser sends to your site, all of these routines and connections have to be made (yes, every single time). Geesh, what a waste of processing power, memory, and other system resources. After all, most of the content on your site remains the same for at least a few minutes at a time. If you’ve been using WordPress® for very long, you’ve probably noticed that (on average) your site does not load up as fast as other sites on the web.